The Nano-3D200 and Nano-3D500 are compact nanopositioners used for optical fiber alignment and hybrid positioning systems. Both models feature a compact size, three-axis motion, closed loop control, and true flexure guided motion. In addition to the aforementioned applications, the Nano-3D200 is also ideal for nanofabrication. 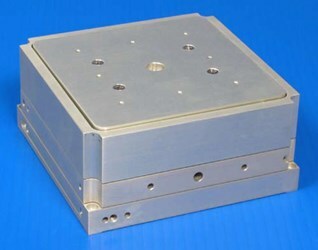 In addition to the aforementioned applications, the Nano-3D500 is also ideal for micromachining and micromanipulation. For more information on both nanopositioners’ features, specifications, and capabilities, download their respective datasheets.